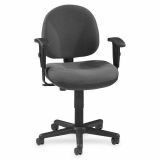 Lorell Millenia Pneumatic Adjustable Task Chair - Adjustable task chair offers a molded seat and back for all-day comfort. Durable shellback and seat base deliver clean smooth lines. Adjustable back provides support where you need it. Functions include pneumatic seat-height adjustment, back height adjustment, seat-depth adjustment and 360-degree swivel. Arms adjust in height and width. 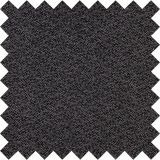 Abrasion rating is 30,000 cycles.